A reference catalogue of 'The Cohen Collection' of fine antique netsuke, inro, snuff bottles, pendants and jade carvings. An interactive reference catalogue of many fine 18th century Asian antiques, 645 colour photographs (with close ups of all signatures and seals) fully described by either Neil K. Davey, or Robert Hall. 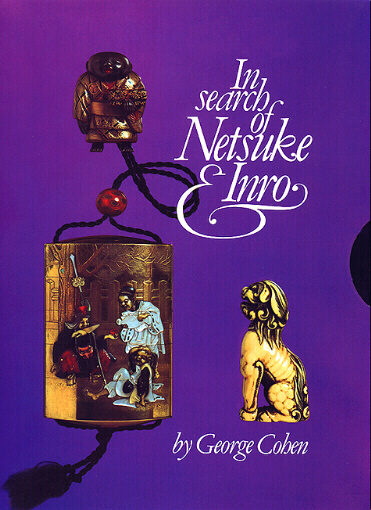 Also includes the complete publication of the out of print book by George Cohen 'In Search of Netsuke and Inro'. A valuable and beautiful reference work for those interested in collecting, designed for the connoisseur's library! Japanese, Netsuke, The Cohen Collection, Neil K. Davey, Antiques, Japanese, Inro, Sagemono, Oriental, Lacquer, John Neville Cohen, Ivory, Ojime. This site is best viewed at 1024 x 768 resolution or more, text size set at medium.